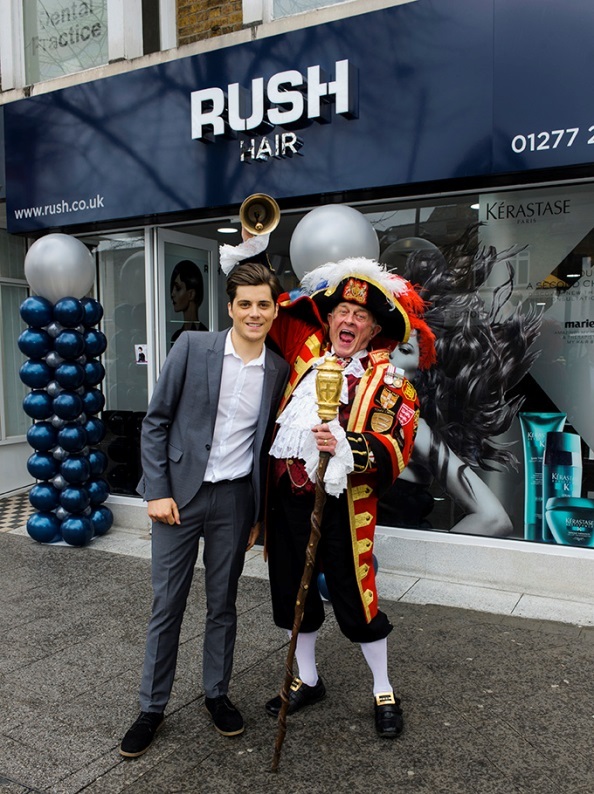 Rush opened its 64th salon in Brentwood in April 2015, owned by long standing employee and now franchisee, Graham Bates. Rush Brentwood is located on Brentwood’s bustling high street in a high footfall area within a busy and friendly community and is a popular area for the cast of hit TV reality show The Only Way is Essex. New Franchise owner Graham talks to us about his new salon and why he chose to franchise with Rush. How long have you been working with Rush? I have been working with Rush for 7 years now! Why did you choose to make the transition from a Rush employee to a Rush Franchise owner? Owning a salon is something I have always wanted to do. Whilst I am inspired everyday by the creativity within this company, I am very business minded. I love the brand, I believe Rush is the most exciting group in the industry, and I am very proud to be opening my first franchise salon. What did Rush do to support you? The support from Rush has been outstanding. Having been an employee of Rush for 7 years I knew the passion of those behind the brand and their attention to detail across all areas. All of the team including Operations, Marketing, Finance and the Academy have made the journey into salon ownership very smooth. How did you choose your location? – Was Brentwood always somewhere you had in mind? When I sat down with the chairman we looked at suitable locations for my salon and Brentwood was a town we were both liked. Brentwood is a commuter town with a great atmosphere. Image is very important to people in this area and they expect a first class service, and rightly so! When the site came up I knew it was the right one. How would you describe your new salon team? GB: I have spent a huge amount of time working very closely with head office and our academy to select the right team for my salon. My team are experienced professionals who are able to recommend and create the style that is right for YOU. I am passionate about offering all clients a great experience and outstanding service, and this will flow throughout the team. Where do you see the future of your salon? The opening of the salon has been a huge success and I am looking forward to building a profitable business by providing great hair and amazing service. Rush hair is always looking for new franchisees to take up high profile locations across the UK. We are looking for driven, ambitious and creative business minded individuals who share a passion for our industry to join our brand. A background in hairdressing is not required as all training and support is provided as well as a team of hair stylists from our award winning academy. The dedicated team at Rush supports you from the offset and throughout from the location, raising finances, your business plan right through to the salon design and marketing plans to generate clients. To find out more contact us about franchise opportunities.